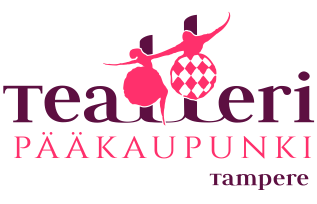 Tanssiva Muumilaakso - Dancing Moominvalley: On the Road Part 3: How did it begin? Did you know that Dancing Moominvalley is a part of the project ”Dancing Moominvalley, Shanghai Expo Moomin Cluster” featured in the Finnish cultural program at EXPO 2010? Dancing Moominvalley is also included in the ”Cultural Bridges 2010” cultural export plan. But you might still be wondering how did all this actually begin? 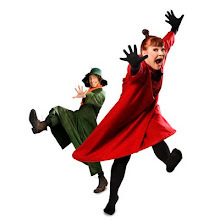 "Based on the book ”Tales from Moominvalley” by Tove Jansson, The Dancing Moominvalley is a family dance adventure that begins with Snufkin’s search for his missing spring tune. The versatile Dancing Moominvalley ensemble leads the audience into a magical place of searching, learning and life’s little and big wonders. We meet Fillyjonk who stops being afraid of accidents and learns how to laugh at herself. Featuring a compelling musical score by Heikki Mäenpää. And it all ends with another big Moomin celebration. But has Ninny turned visible, and what kind of adventures did Moomintroll get into? So, what are you waiting for, come along!" Sounds exciting. But how does it actually start? Dancing Moominvalley. First we hear Snufkin’s Theme. Snufkin is working on a new melody. Meets an enthusiastic, anonymous little bug. Loses the melody and gets angry with the bug. Feels bad after chasing the bug away. Travels on, looking for Ti-ti-oo. Decides to head for Moominvalley. Comes up with the Spring Tune. The treetops, and the wind going through them. The sigh of leaves. We hear a variation of the theme. We see Moomintroll appearing in another place at the same time (looking for his friend). That is how it all got started. We got started while looking for the Spring Tune. But that was only a start.